For travellers, travel insurance is an important issue often overlooked, perhaps to save money. But fall ill or have an accident while overseas can quickly become a very expensive exercise and have far reaching consequences on one’s financial well being and the quality of treatment one receives. Lose your luggage and/or your personal effects, need to cancel your trip? Good travel insurance can help protect you. Considering how things can happen when travelling, its important to know what is in the fine print. Depending on what you want to do on your trip, make sure it covers you for the type of activities you want to enjoy. Most importantly, try to find out exactly what is excluded. Most visitors can not access Australia’s subsidised system of health care. There are some countries where reciprocal agreements are in place, you can find out more from your travel agent. Ensuring you have the right type of Health and Travel Insurance is strongly advised by the Australian Government. About working in Australia. Have you thought about a working holiday in Australia? Work in Australia. 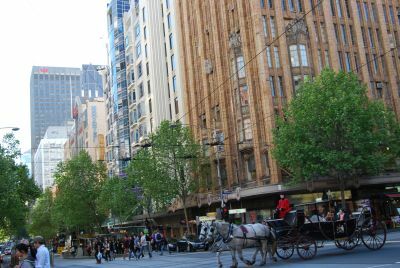 Photo: Melbourne Australia - Travel.